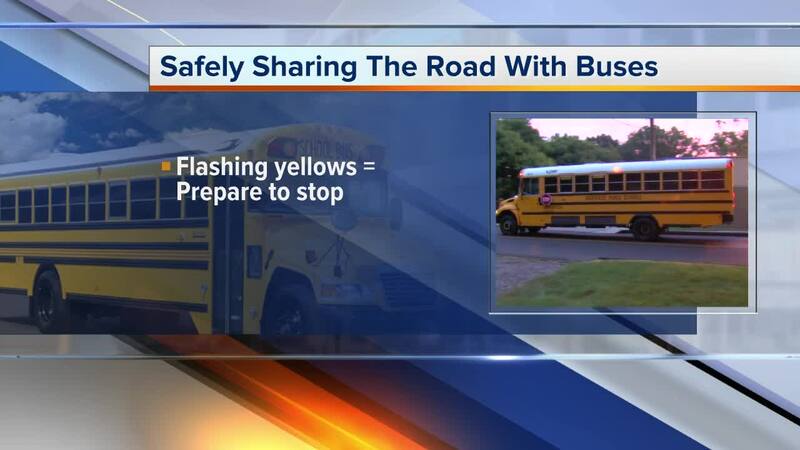 As we continue our back-to-school coverage, we're taking a look at sharing the road with school buses. The summer has been spent with buses off the road, so we want to remind you about the rules you need to follow with buses on the road. Thousands of metro Detroit parents are preparing to send their children back to school, but everyone will be dealing with extra congestion on the roads as school buses return to the road. While school buses aren’t new, their return naturally brings changes every year to driving habits. John Julian, a school resource officer for the Troy Police Department, told 7 Action News that it’s important that people take precautions and give themselves extra time when they’re preparing to share the road. School buses are required to stop at all railroad crossings, and they’ll stop regularly to pick up children. School buses are large so your visibility around them is limited. It’s not just moving school buses that you need to watch out for, Officer Julian noted that a stopped bus causes safety concerns if drivers don’t pay attention. 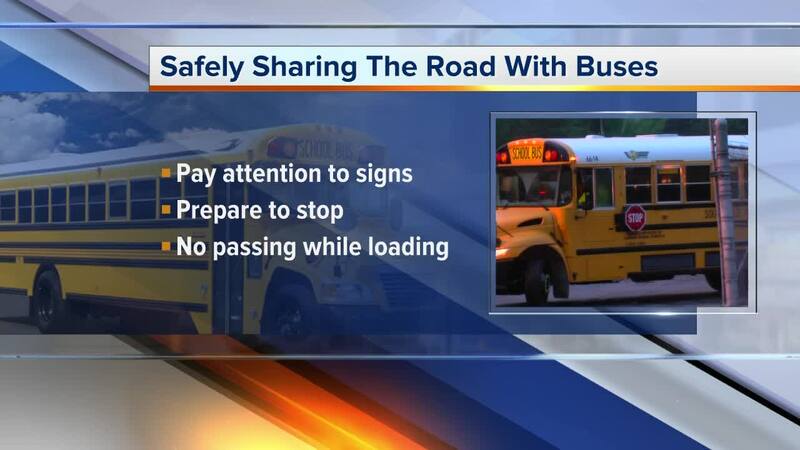 In fact, the most severe accidents involved school children often happen outside of the school bus. The National Highway Traffic Safety Administration notes that 36-percent of school-age pedestrians that died in school-related accidents were struck by another vehicle on the road. Julian warns that the added traffic can lead people to rush, pair that with distracted driving and you have a recipe for disaster. It’s not just school buses that cause change, Officer Julian noted that crossing guards are a major concern when school returns. Ignoring a crossing guard is a ticketable offense, but it’s also extremely dangerous. While the back-to-school season typically draws attention for shopping, and preparing a child for school police recommend that adults take time to reassess their own schedules, and game plan additional time for their morning routine so they’re not rushing and taking risks near school children.